The dancing light of the auroras on Saturn behaves in ways different from how scientists have thought possible for the last 25 years. New research by a team of astronomers led by John Clarke of Boston University has overturned theories about how Saturn's magnetic field behaves and how its auroras are generated. Their results will be published in the February 17 issue of the journal Nature. By choreographing the instruments aboard the Earth-orbiting Hubble Space Telescope and the Cassini spacecraft, while it was enroute to Saturn, to look at Saturn's southern polar region, Clarke and his team found that the planet's auroras, long thought of as a cross between those of Earth and Jupiter, are fundamentally unlike those observed on either of the other two planets. The ruby-colored lights that occasionally paint the sky over Saturn may, in fact, be a phenomenon unique within our solar system. In Clarke's experiment, Hubble snapped ultraviolet pictures of Saturn's auroras over several weeks and Cassini recorded radio emissions from the same regions while measuring the solar wind, a stream of charged particles that trigger auroras. Those sets of measurements were combined to yield the most accurate glimpse yet of Saturn's auroras. 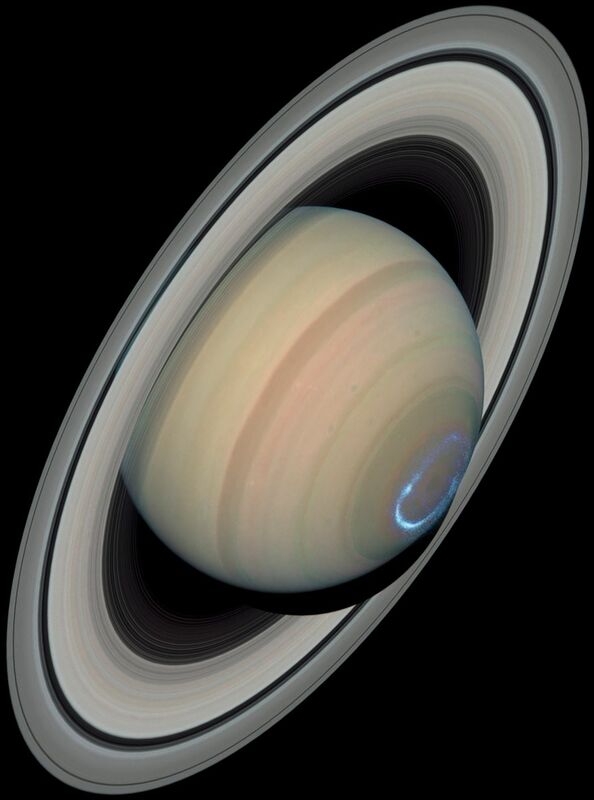 The observations showed that Saturn's auroras differ in character from day to day, as they do on Earth, moving around on some days and remaining stationary on others. But compared with Earth, where auroras last only about 10 minutes, Saturn's auroras can last for days. The observations also indicated, surprisingly, that the sun's magnetic field and solar wind may play a much larger role in Saturn's aurora than previously suspected. Hubble images, when combined with Cassini measurements of the solar wind, show that it is the pressure of the solar wind that appears to drive auroral storms on Saturn. In Earth's case, it is mainly the sun's magnetic field, carried in the solar wind, that drives auroral storms. Seen from space, an aurora appears as a ring of light circling a planet's polar region, where magnetic poles typically reside. Auroral displays are initiated when charged particles in space collide with a planet's magnetic field and stream into the upper atmosphere. Collisions with gases in the planet's atmosphere produce flashes of glowing energy in the form of light and radio waves. Scientists had long believed Saturn's auroras possess properties akin to both Earth and Jupiter. 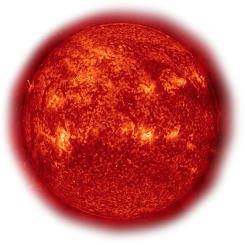 Like Earth's, they were thought to be influenced by the solar wind. Like Jupiter's, they were assumed to be influenced by a ring of ions and charged particles encircling the planet. The new results do show, however, a feature of Saturn's aurora that matches Earth's: Radio waves appear to be tied to the brightest auroral spots. This similarity suggests that the physical processes that generate these radio waves is just like those of Earth. But, as the team observed, though Saturn's auroras do share characteristics with the other planets, they are fundamentally unlike those on either Earth or Jupiter. When Saturn's auroras become brighter (and thus more powerful), the ring of energy encircling the pole shrinks in diameter. When Earth's auroras become brighter, the polar region for several minutes is filled with light. Then the ring of light dims and begins to expand. Jupiter's auroras, however, are only weakly influenced by the solar wind, becoming brighter about once a month, at the most, in response to solar wind changes. Saturn's auroral displays also become brighter on the sector of the planet where night turns to day as the storms increase in intensity, unlike either of the other two planets. At certain times, Saturn's auroral ring was more like a spiral, its ends not connected as the energy storm circled the pole. Now that Cassini has entered orbit around Saturn, Clarke and his team will be able to take a more direct look at the how the planet's auroras are generated. According to Clarke, the team will next probe how the sun's magnetic field may fuel Saturn's auroras and what role the solar wind may play.